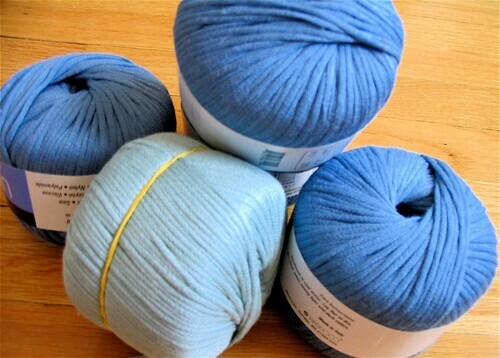 For the first 2½ years of my knitting life, I managed to avoid accumulating a stash, even prided myself on it. I only had yarn for my current project and you'd be hard-pressed to get me to select a yarn without a specific project mind (though it did occasionally happen - leading, for instance to the Honeymoon Mini-Cardi, but in full disclosure I probably made my brand-new husband nuts in my indecision to purchase that yarn while on our honeymoon). 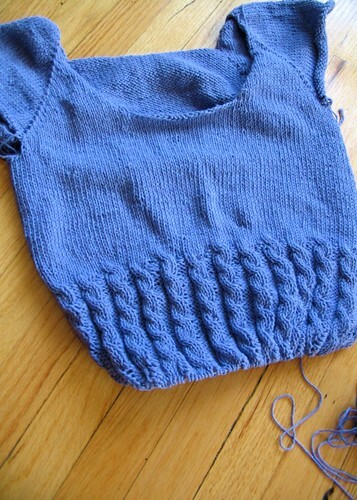 I even was obsessive about using up the leftovers of the yarn I had. 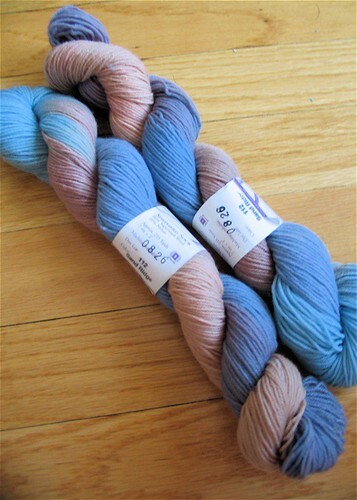 I went into my local yarn shop to pick up some sock yarn and "lo-and-behold!" all the yarn in the bins on the floor was only a dollar. Even I couldn't resist that bargain and so I grabbed these five balls of silk. What am I going to make with it? Who knows! 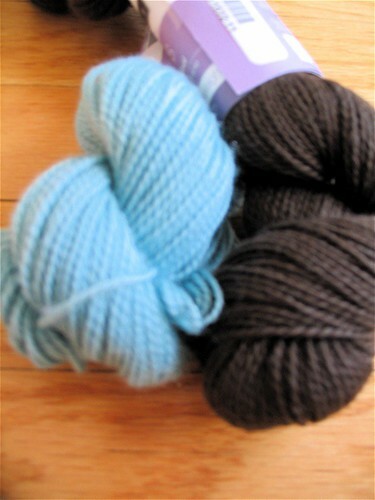 Though Ravelry has provided some intriguing options, namely this and this. Granted, this is for a specific project, but one I likely won't start for some time. And then that same old yarn shop, in honor of Mother's Day and Government Rebate checks decided to have a 25% off of everything sale. So I got this sock yarn that I was ogling when I bought the last sock yarn. Now, I'm sure some hard-cord yarn collectors will scoff at my measly 9 skeins, but it's a slippery slope I say! A very slippery slope. But I'm fairly certain I'm going to have a ball leftover. I think I'll make it into a hippo.